U2 is nominated for Best Rock Album for their latest album Songs of Innocence at this year’s 57th Grammy Awards, which will be broadcast this Sunday night February 8th starting at 8:00 pm est on CBS. 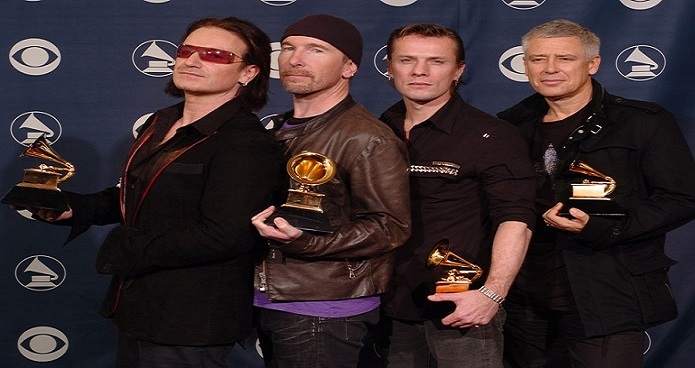 Will U2 win adding to their long list of Grammy Awards? Here is a look back at U2’s history at the Grammys. I have seen every U2 award and performance on the Grammys live as it happened. I remember being so upset U2’s Achtung Baby lost Album of the Year to Eric Clapton’s Mtv Unplugged album (which wasn’t even new material). I was SO excited when Lisa Marie Presley presented U2 with the Grammy for Best Rock Performance for “Vertigo.” U2 is not scheduled to perform this year, but isn’t it great when the Grammys have a surprise opening performance they have not advertised? 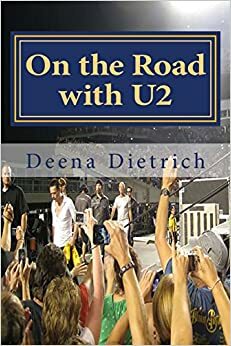 But with Bono still recovering from his accident, I doubt U2 will even make an appearance at this year’s Grammys, let alone perform. Although it would be nice if Larry showed up to accept the award.